It’s that time of year again! In the coming weeks, your child’s teacher will probably be sending home a list of their classmates for Valentine’s Day card exchanges. And then you’ll sit at the kitchen table for hours watching your 4 year old wants to address them all herself. So, to get a head start on what will soon be coming home in my kids’ backpacks, I’ve put together a darling free printable valentine to share with you. I made 50 of these for just $15. They require very little work, so they couldn’t be easier to put together. And most importantly, they are fun and unique! Before we get started, I wanted to point out that I’m certainly not opposed to store bought valentines – not at all! I just like to make stuff, and I know most of you do, too. 1. Download the free printable that I created for this valentine. My son, Zack, came up with the saying, “I love seeing you at school!” to go with the funny glasses. I thought it was great! Click here to download. 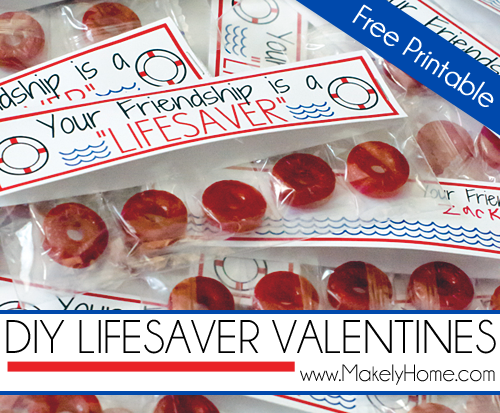 If you need valentines for other things – church groups, girl scouts, dance class – just let me know. I’m happy to re-do the “at school” wording and post it so that it can be more personalized. I’m not able to personalize colors/fonts/graphics due to time constraints. 2. The valentine is sized for a 4×6 photo print. I created an account at CVS.com and uploaded it to their site. When you create an account and connect your ExtraCare card to it, you get 50 free 4×6 prints to use whenever you wish. I used them all for this project – I have 2 kids, so I needed a lot of valentines. I picked them up at the CVS down the street from our house about an hour after I ordered them, and I literally paid ZERO dollars (no tax or anything) to have these printed. Even with no free prints, it would have only cost me about $10. There are several other places online where you can get free prints, so definitely explore that option if you already have a CVS.com account. 4. Have your child sign each card. We used a silver metallic Sharpie for ours, but any permanent marker will work. 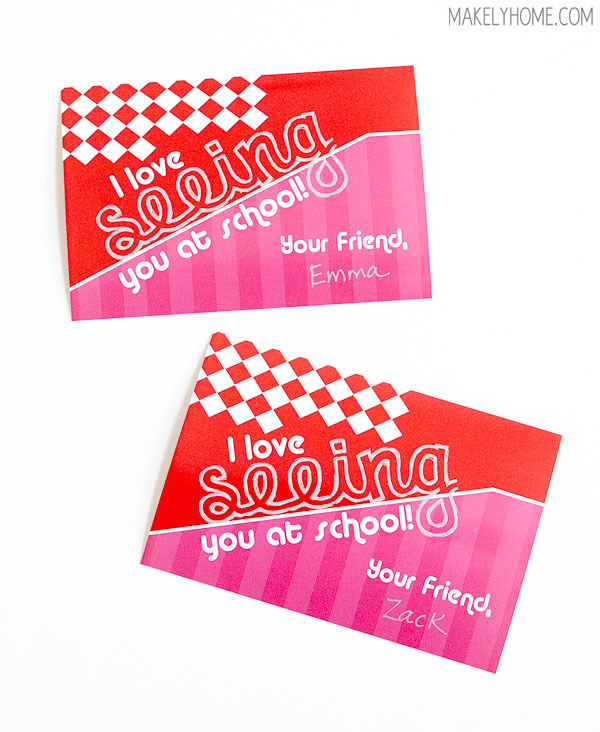 If you need to write the classmate’s name on the cards, you can do so over the red and white diamond pattern. 5. 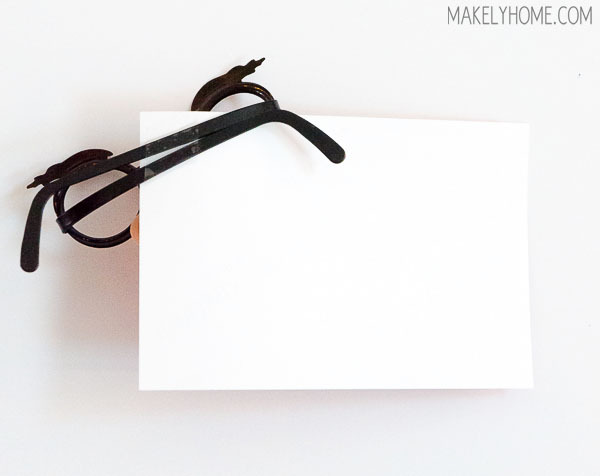 Slide one of your funny glasses over the upper right corner of the card and secure on the back with clear tape. I made sure to tape both temples so that the glasses wouldn’t come off. 6. Bask in your awesomeness. Your valentines cards are finished for another year! This is adorable! Would it be possible to change the “school” to “Miss Alisa’s”? Very creative! Certainly I will make the kids will love this. Loved it! I happened to find your blog searching. Adorei suas dicas super importantes. De extremo bom gosto suas dicas! I just would like to know more about these funny glasses valentines in 2018. Perfect! Your work is incredible !! Congratulations!! Wow, that’s cool, I really enjoyed it and I’m even going to do it with my son. Muito Obrigado pela informações, são bem relevantes ao nosso conhecimento. happy to have found this post with such cool tip, thank you.